The Burgess shale in British Columbia preserves a fascinating assemblage of the earliest animals on Earth, dating back 500 million years to the Cambrian period. On this week's show, we'll hear about how a whole new bed of ancient fossilshas been discovered, giving us a new window on ancient life. Plus, we'll learn about another fossil find that reveals a prehistoric carnivore with teeth like steak knives; we'll find out why nuthatches eat upside-down; we'll hear about a glacier in Greenland moving at more than glacial pace; and we'll learn how humanity is driving the sixth great extinction in life's history on Earth. ​ Life on our planet has passed through five major extinction events - during which huge numbers of species were lost - including the most recent event when the dinosaurs were erased from history, 66 million years ago. Many scientists now think we're in the midst of a sixth great extinction, driven by human activity. 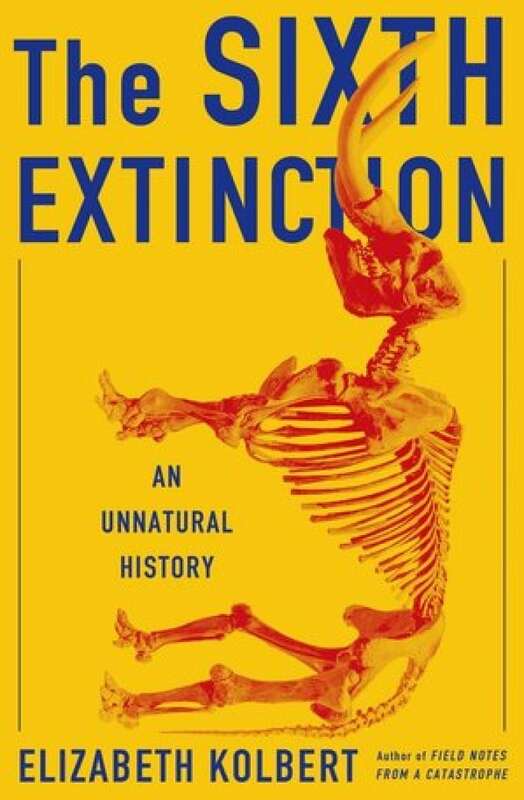 In her new book, The Sixth Extinction - An Unnatural History, Elizabeth Kolbert, staff writer for The New Yorker magazine, documents what we're losing and what we've already lost. She travels from the Arctic to the Amazonian rainforest to the Great Barrier Reef, to document the losses of amphibians, rainforest plants and animals, corals, birds, bats, large mammals, and much more. All this is the result of the interaction of climate change, ocean acidification, and the planet's most destructive invasive species - humans. This is the Quirks & Quarks Question Period. You think of a question, and we'll ask a Canadian scientist to tell us the answer. And today's question comes to us from David Pease of Melancthon, Ontario, who asked the following: "Why do nuthatches on trees always eat upside down?" To help us get the bird's eye view on this question, we contacted Emily McKinnon, a PhD candidate in the Department of Biology at York University in Toronto. The Burgess shale was discovered in 1909 and revealed a new world. These exquisite fossils in Yoho National Park in British Columbia preserve a snapshot near the dawn of animal life on Earth, 500 million years ago, and have taught us a huge amount about the evolution and diversity of early animals. Now, a group including Dr. Robert Gaines, a geologist from Pomona College in Claremont, California, and scientists from the Royal Ontario Museum, have discovered a spectacular new bed of fossils in nearby Kootenay Park, which might rival the original bed. In just a few weeks of collecting, paleontologists have found many new species and expect to find many more. Dimetrodon. Art by Danielle Dufault. 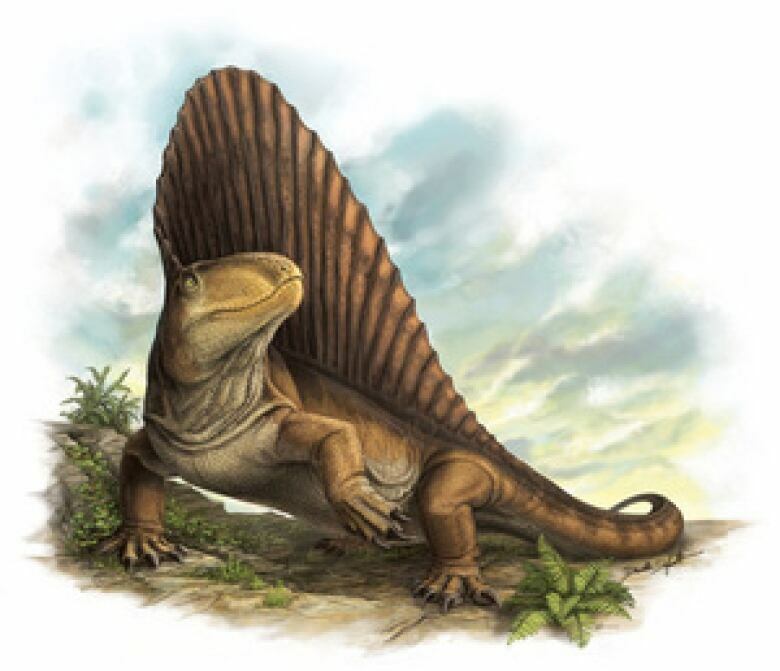 (Courtesy of Kirstin Brink)​ Dimetrodon was a 4-metre-long carnivorous animal that lived before the dinosaurs and was the oldest-known, fully terrestrial top predator. It lived in the early Permian Period - from 298 to 272 million years ago - in what are today the states of Texas and Oklahoma, as well as parts of Europe. A new study by Kirstin Brink, a PhD candidate in the Department of Biology at the University of Toronto, Mississauga, has looked at fossil evidence of dimetrodon and found that its teeth changed across 25 million years of evolution. At some point, dimetrodon evolved the first-known serrated teeth, believed to have been driven by a change in the size of its prey. Dimetrodon's 'steak-knife' teeth enabled it to bite prey much larger than itself, with greater efficiency. Serrated teeth evolved in therapod dinosaurs 40 million years later. The Jacobshavn glacier on the west coast of Greenland is redefining the term "glacial pace." The glacier is moving at a startling speed of 17km/year, or about 2 meters per hour, according to new work by Dr. Ian Joughin, a glaciologist at the Polar Science Center at the University of Washington in Seattle. This glacier's speed has increased dramatically in the last ten years, more than doubling, due in part to warming ocean temperatures around Greenland, and partly because of the topography of the fjord through which the glacier flows. As a result, ice from this single glacier has contributed significantly to global sea level rise.